A pop music veteran that needs no introduction, Lionel Richie has been a musical force to be with reckoned with for over 50 decades! From his beginnings in the 60s and 70s in funk outfit The Commodores to his considerable success as a solo artist with hits such as 'All Night Long' and 'Hello', Richie has solidified his status as a musical legend. To date, Richie has garnered an Oscar, five Grammys and 16 American Music Awards, and it's not surprising considering he's sold over 100 million albums internationally. As such, this icon knows what he's doing when it comes to giving a live show. He's not simply a singer, but a bonafide showman whose megawatt smile and pure charisma will have even punters at the very back of the arena on their feet dancing. Wear some comfortable shoes! Sound good to you? 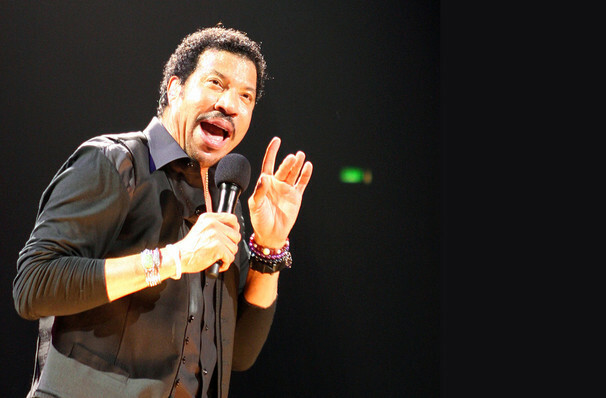 Share this page on social media and let your friends know about Lionel Richie at Smart Financial Center. Please note: The term Smart Financial Center and/or Lionel Richie as well as all associated graphics, logos, and/or other trademarks, tradenames or copyrights are the property of the Smart Financial Center and/or Lionel Richie and are used herein for factual descriptive purposes only. 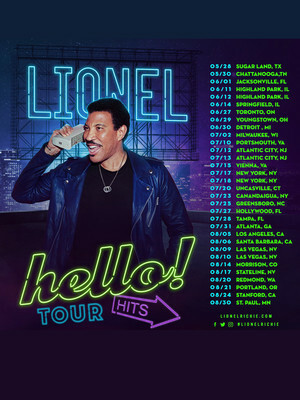 We are in no way associated with or authorized by the Smart Financial Center and/or Lionel Richie and neither that entity nor any of its affiliates have licensed or endorsed us to sell tickets, goods and or services in conjunction with their events.